One of the Christmas ; New Year traditions has become the release by the emergency services of some of the more unusual calls that come through to the emergency services phone number. My favourites this year the woman who rang the police to complain that her kebab was cold and the man who rang in the early hours of the morning to ask where he could buy a bacon sandwich! I guess peoples ideas of emergencies vary! 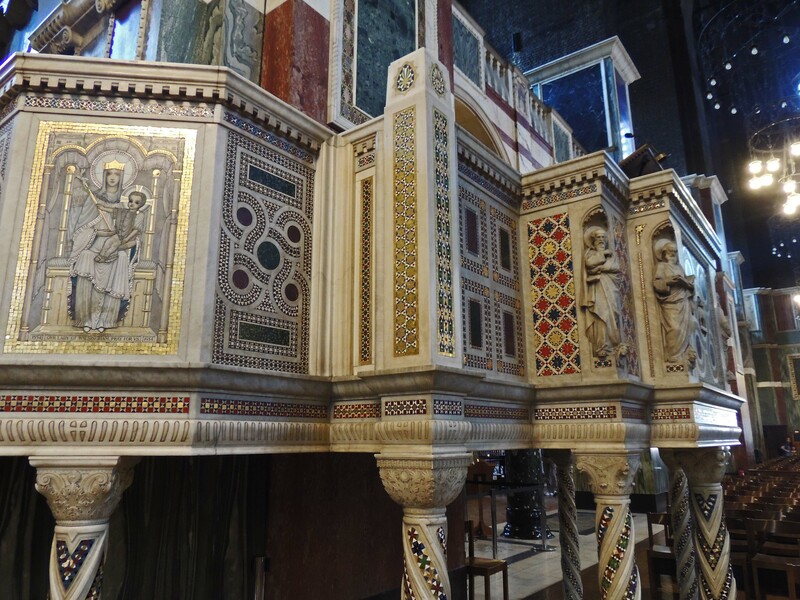 I just love the simple designs inside the Cathedral which seem to come together to create a wonderful richness. George Elliott was born in Scotland in 1717. He studied at the University of Leiden and then at the Military Academy in Paris, before serving for two years in the Prussian army. He returned to England and in 1741 was commissioned in the Horse Guards. He saw service in the war of Austrian succession and was wounded at the Battle of Deffingen. In 1756 he was appointed ADC to King George the second and served in this post until the outbreak of the seven years war in 1759, when he was appointed to command of the First Light Horse. He took part in the battles of Minden and Emsdorf. In 1762 he took part in the capture of Havana during the British expedition to Cuba. Four years later he was promoted to Lt. General and in 1777 was appointed Governor of Gibraltar. 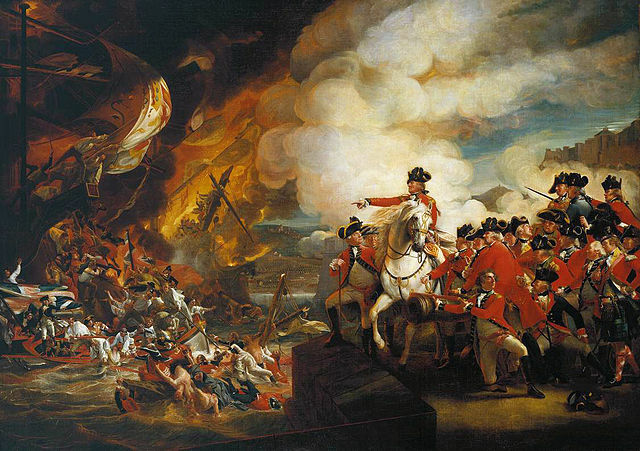 “The Siege and Relief of Gibraltar ” by John Singleton Copley Licensed under Public Domain via Wikimedia Commons. In July 1779 Gibraltar was besieged by a combined French – Spanish force. It was to hold out for over four years until the siege was raised. In 1787, Elliott returned to England where he was made a Knight of the Bath and created Lord Heathfield. 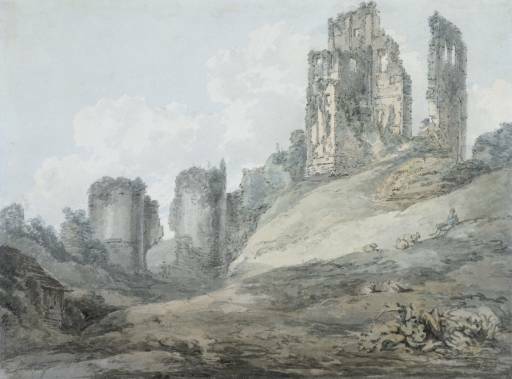 It was his plan to return to Gibraltar by travelling through Europe, but in the Aachen area of Germany he suffered a stroke and it was decided to suspend his return to the colony. He died in 1790, still residing in the Aachen area. 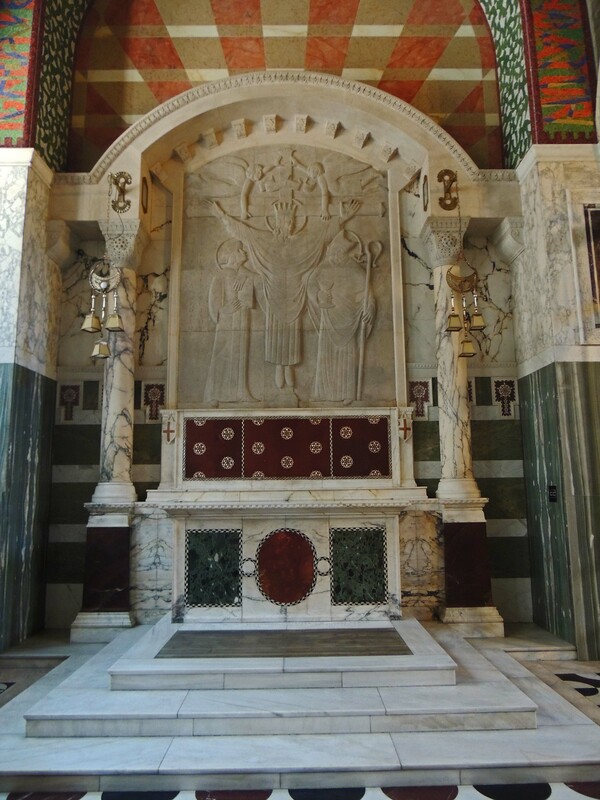 He was buried first at the house in Aachen, then at the family estate in Heathfield, Sussex and finally at the church in Devon associated with his wife’s family. 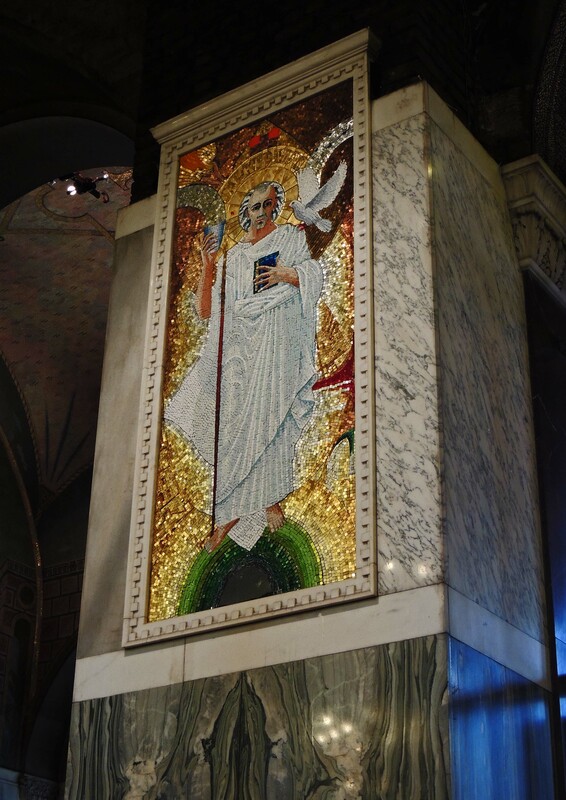 This memorial to Elliott can be found in St Paul’s Cathedral. 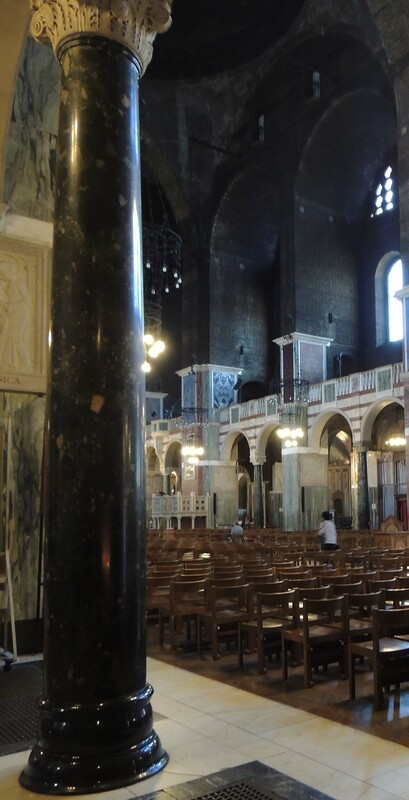 If I were asked to describe the interior of Westminster Cathedral I would probably come up with something like ‘Simple but ornate’. 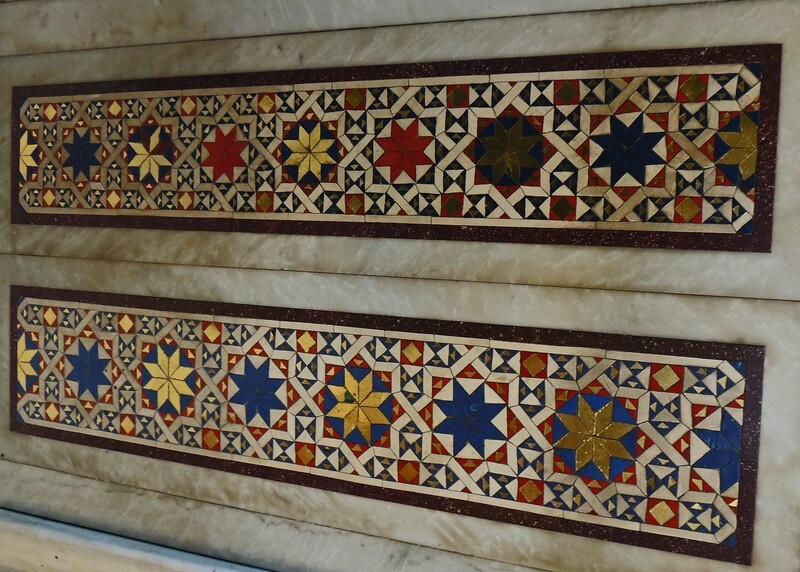 The simple use of plain blocks of marble create the most ornate effect. Hope the pictures portray it better than I can describe it! The rain, and we seem to have had a lot of it recently, can be a barrier to getting out with the camera but it can also bring some wonderful pictures. 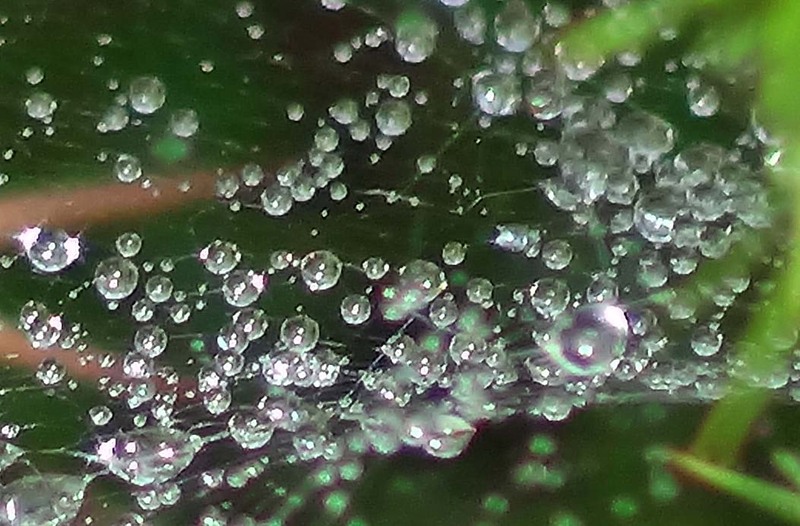 These are of a spider’s web in the garden after a rain shower. 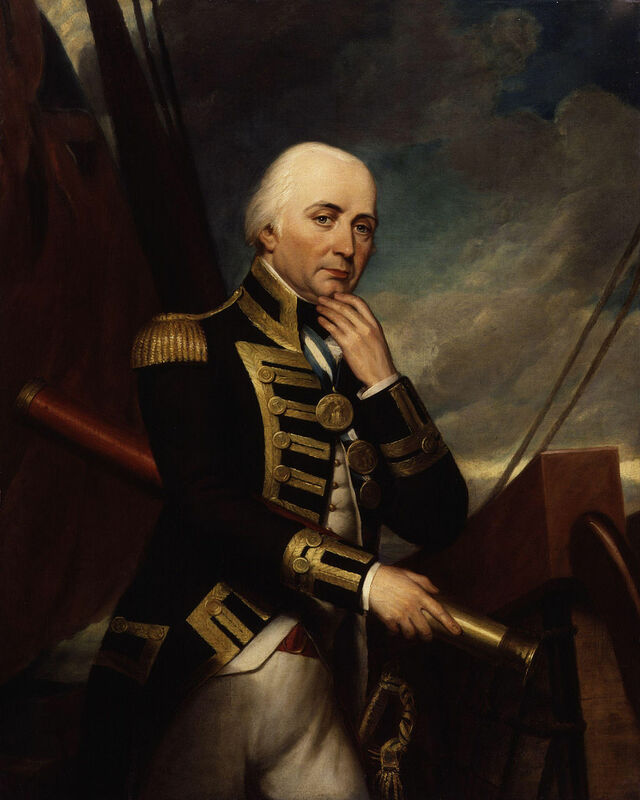 Cuthbert Collingwood was born in Newcastle in 1748 and joined the Navy at the age of 12. His first experience of military action was surprisingly on land as in June 1775 he served at the Battle of Bunker Hill near Boston Massachusetts as part of a naval contingent. In recognition he was promoted to lieutenant that same day. From the North American station he transferred to the West Indies and it was here that he first met Horatio Nelson – the two were to become firm and close friends. 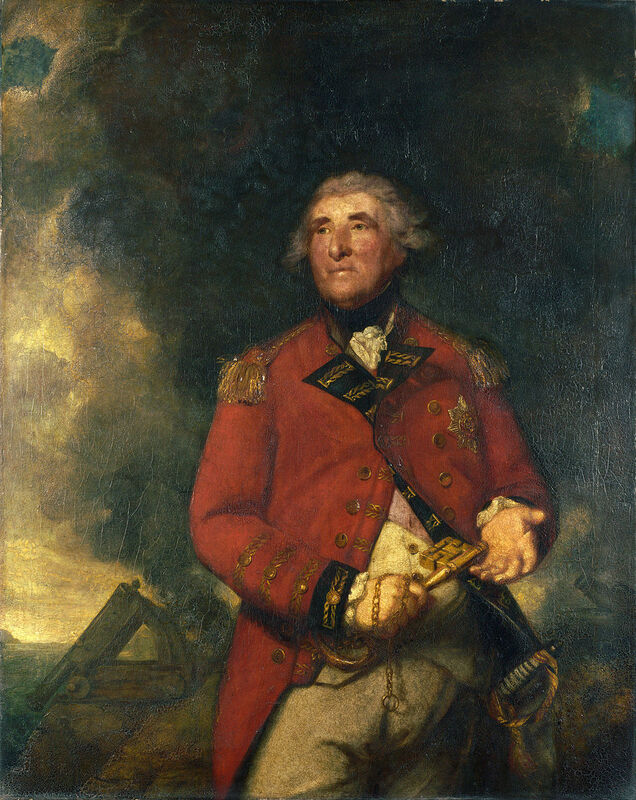 In 1779, Collingwood served on HMS Hinchinbroke as first lieutenant under Capt Nelson and succeeded him as captain, when Nelson was transferred to a larger ship. He subsequently commanded HMS Pelican, which was lost in a hurricane, and the 64 gun ship of the line HMS Sampson. In 1786 he was paid off and put on half pay and he returned to England. With the resumption of war in 1793, Collingwood was recalled to naval service and fought at the Battle known as ‘the glorious first of June’ as Flag Captain to Admiral Bowyer on HMS Barfleur. The Admiral was seriously injured during the battle and his command past to Collingwood. After the battle Collingwood was transferred to the Mediterranean Fleet and took part in the blockade of Toulon. He was present at the battle of Cape St Vincent where again he fought alongside his friend Nelson. He was made Rear Admiral in 1799 and Vice Admiral in 1804 and served in both the Mediterranean and Channel fleets. In 1805 he was second-in-command to Nelson at the Battle of Trafalgar and his ship HMS Royal Sovereign was the first British ship to see action in the battle. It was badly damaged and eventually had to be taken in tow. On learning that Nelson had been killed, Collingwood transferred to HMS Euralyus and assumed command of the fleet. He was subsequently appointed Commander of the Mediterranean Fleet replacing Nelson, charged with protecting British interests in the Mediterranean and blockading French and Spanish ports. 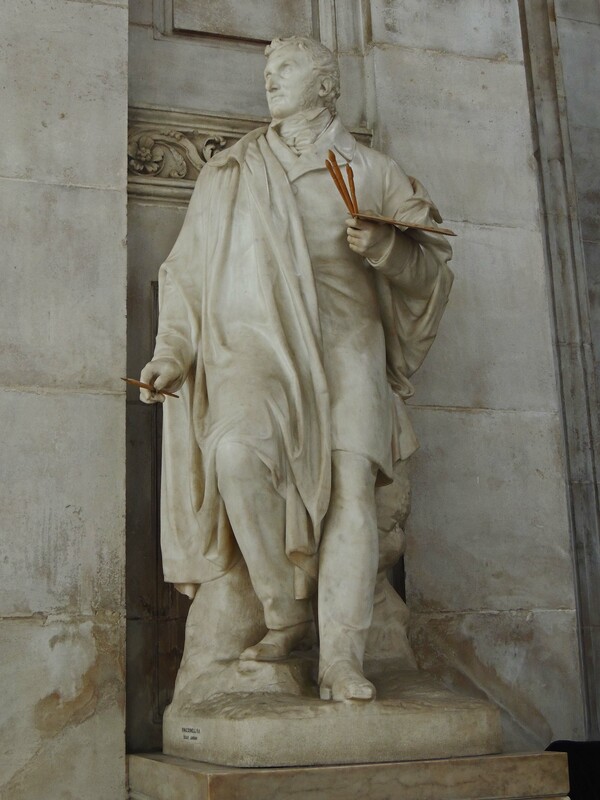 In 1810 he was granted permission to resign his commission on the grounds of health and return to the UK. However he died at sea on 17 March whilst still on his way home from Menorca. 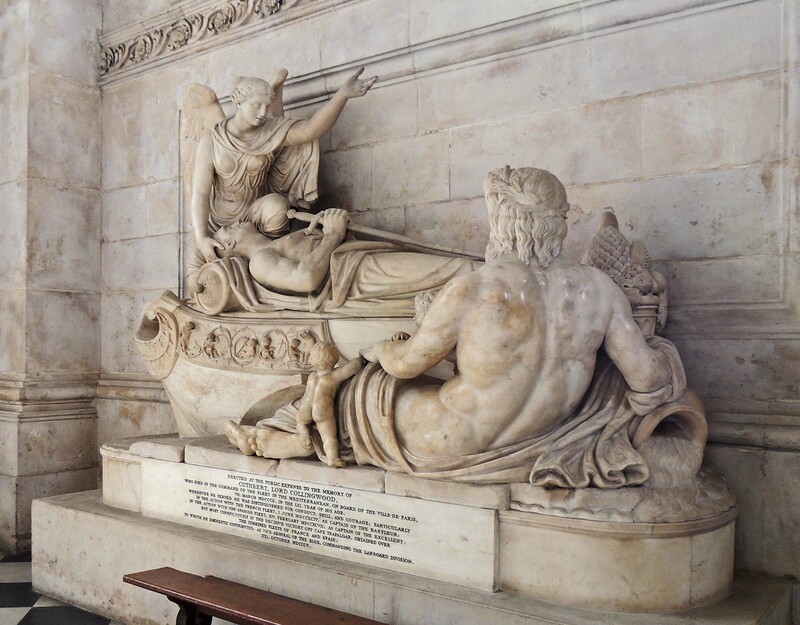 His body lay in state at Greenwich before being buried in St Paul’s Cathedral close to his long-time friend and colleague Horatio Nelson. 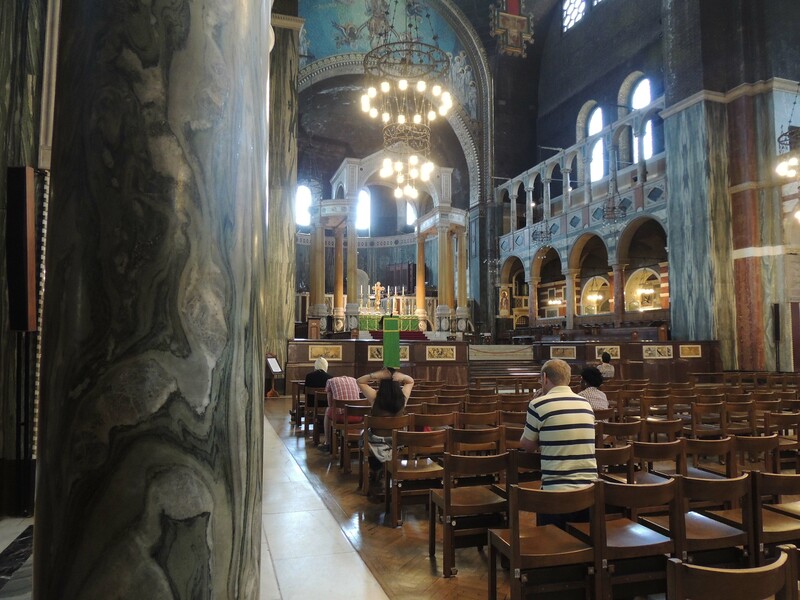 Keith and I visited Westminster Cathedral on one of our trips up to the centre of London. 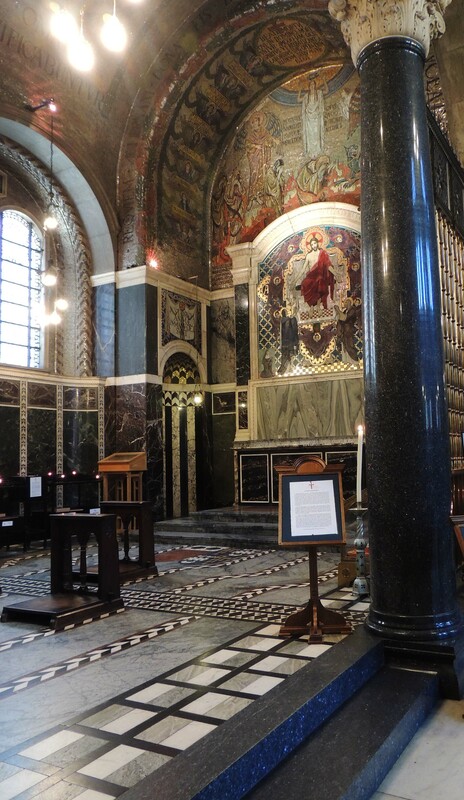 This can be regarded as London’s unknown Cathedral, probably even to most people who live in the city. 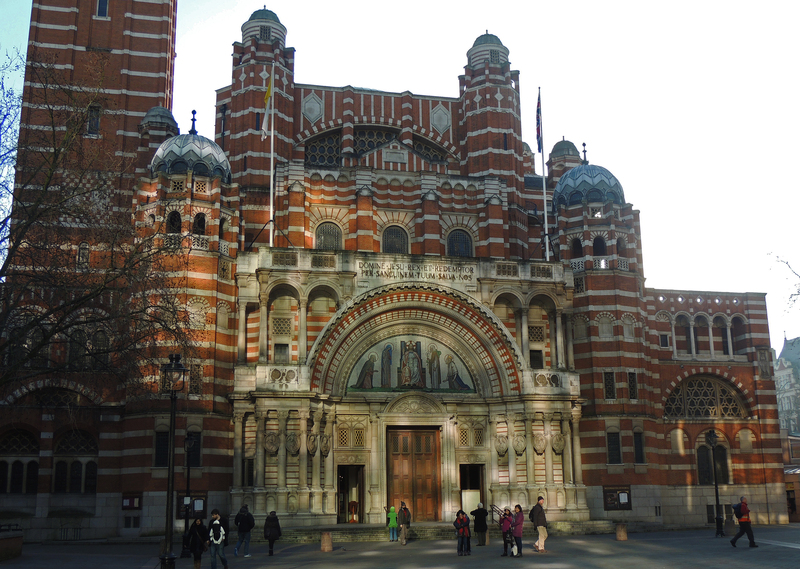 It is often confused with Westminster Abbey on Parliament Square. 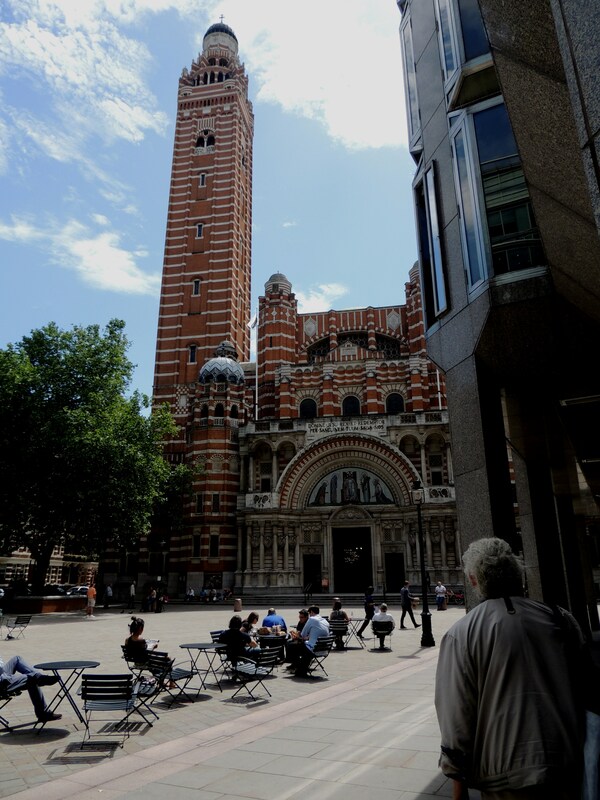 Westminster Cathedral is in Victoria and is London’s Roman Catholic Cathedral. 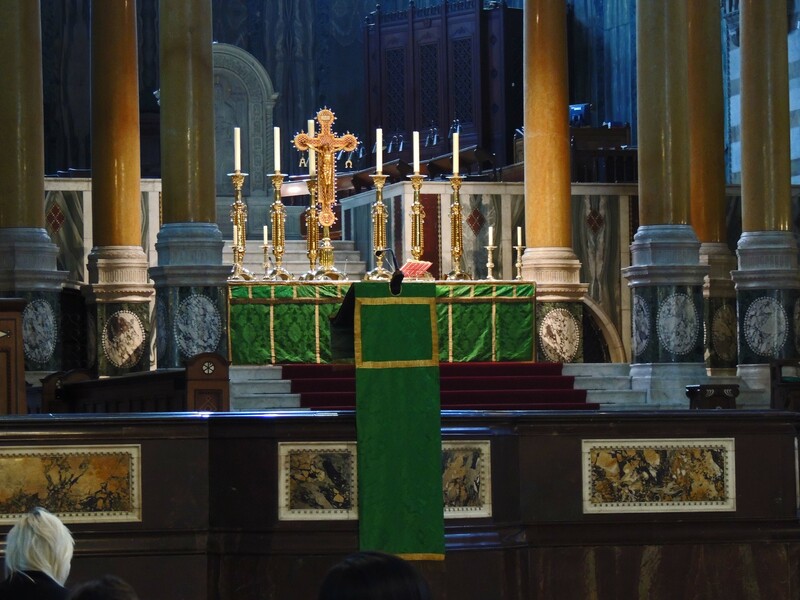 It’s name coming not from its geographical location but from it being the seat of the Archbishop of Westminster. 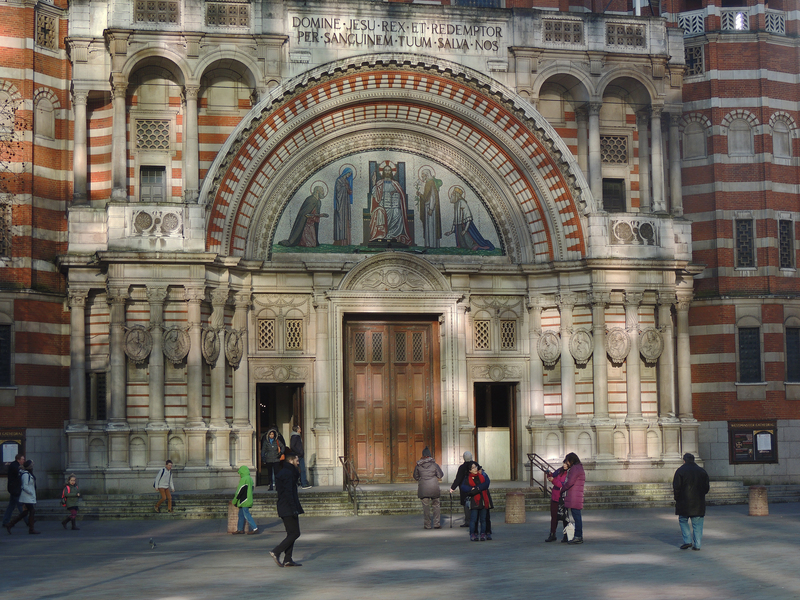 The site, which had previously been a prison, was purchased by the Catholic church in 1885. 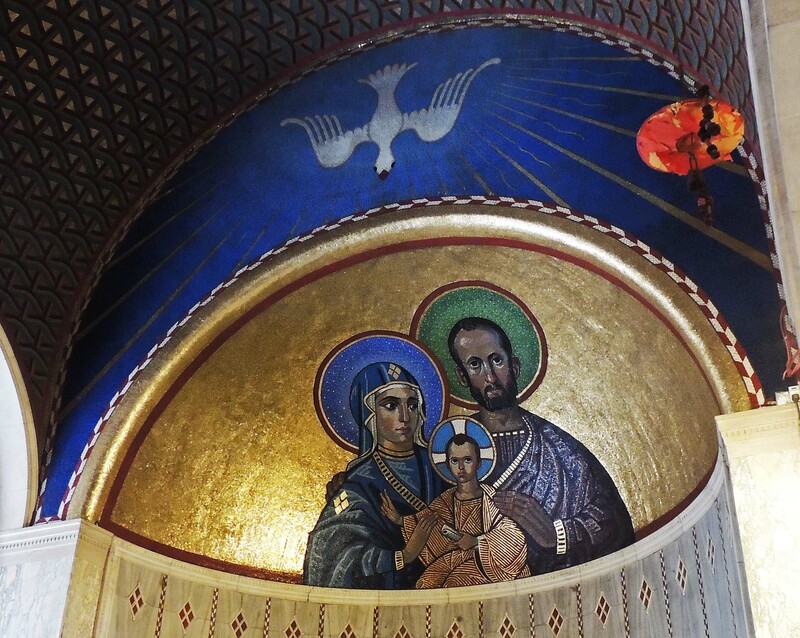 It was some 10 years however before they were able to begin construction on the building, which is in the Byzantine style. 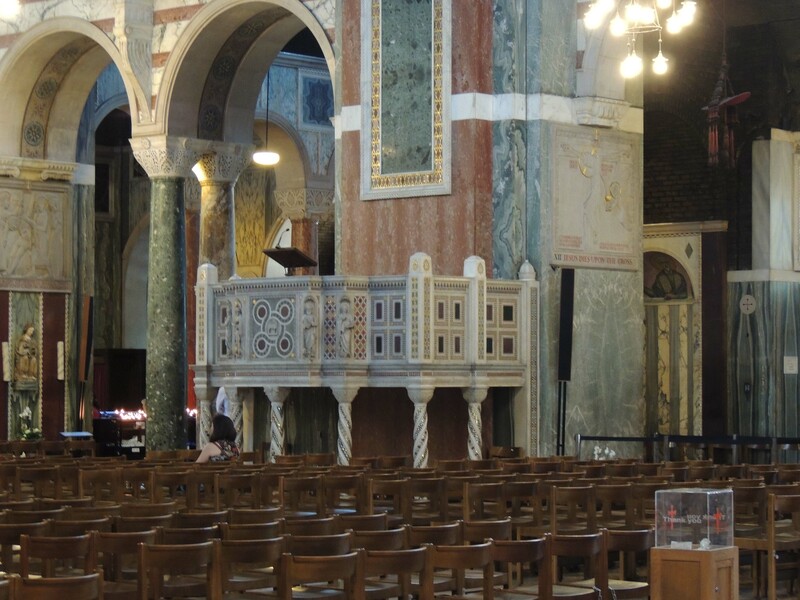 It was opened in 1903 with the first service being held in June of that year. 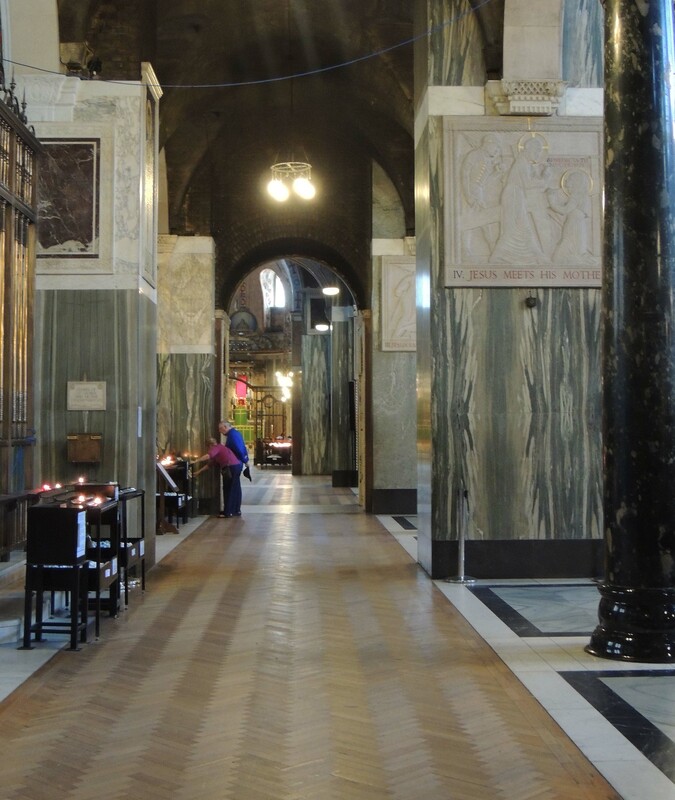 However, much interior work still remained to be completed and the cathedral was not completed until June 1910. Joseph Mallord William Turner in Covent Garden, London in 1775, where his father was a barber. in 1785, his mother was admitted to hospital and the 10-year-old Turner was sent to live with his uncle in Brentford by the River Thames. 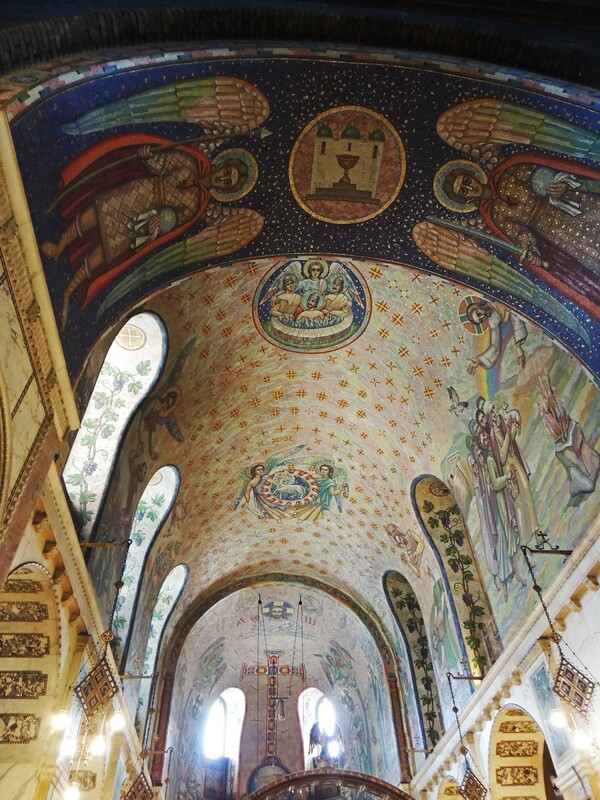 It is believed that it is here that he may have begun to paint. 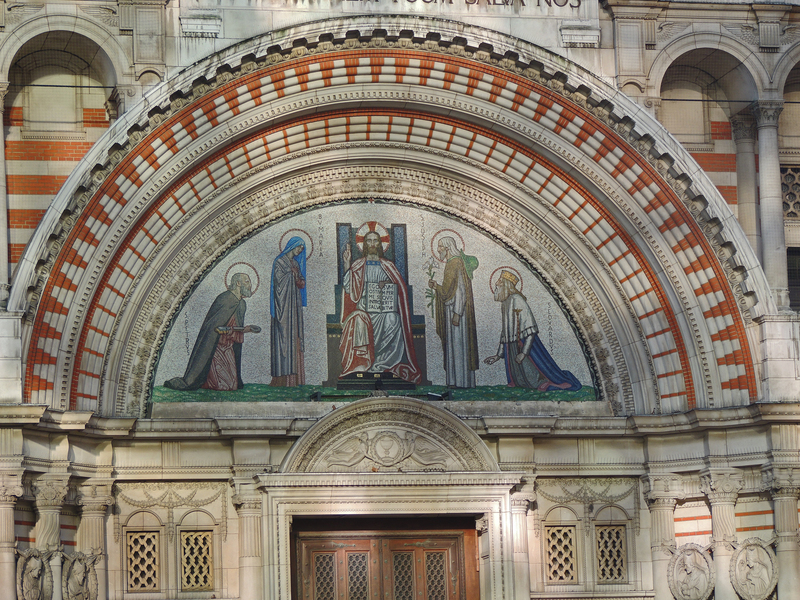 The following year he moved to stay in Margate and began to produce paintings which was exhibited in his father’s shop window and sold for a small amount. In 1789 he was admitted to the Royal Academy of arts school and a year later entered the Academy.his work became more well known and she gained a number of important patrons who continue to support him throughout his life. Turner continued to live with his father,who worked as his studio assistant, until the latter’s death in 1829. 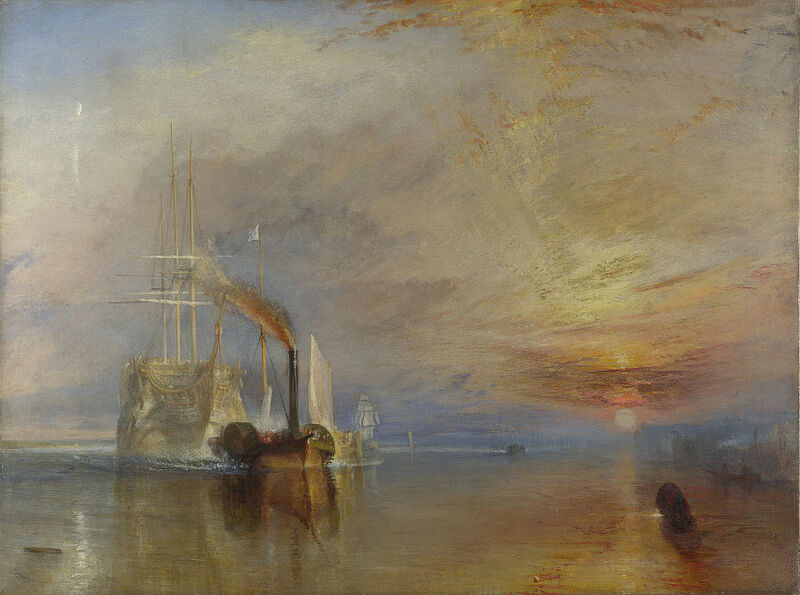 This had a profound depressive effect on Turner. He eventually moved to Chelsea, where he lived with a widow, Sophia Booth, until his death in 1851. 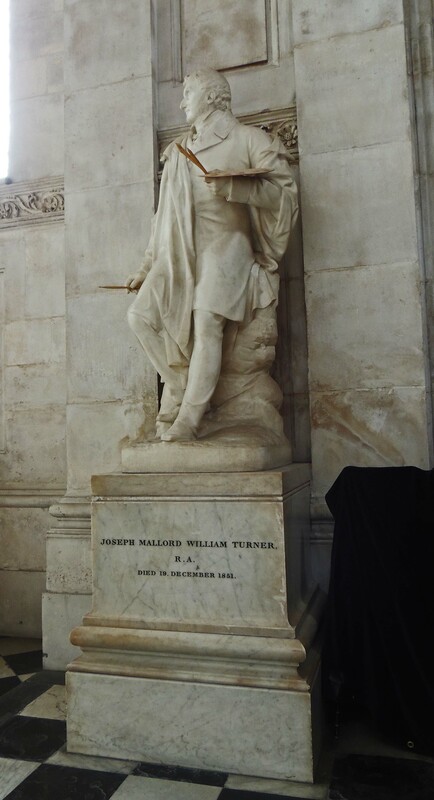 He was buried in St Paul’s Cathedral next to Sir Joshua Reynolds, another famous artist, who had been the chairman of the Royal Academy board which had admitted Turner to the Academy in 1789.